Sideline Sports team wants to introduce to you an ice hockey club from Finland, Kiekko-Vantaa! One of the most important things in a professional sports club is the player development system and Kiekko-Vantaa has just taken a great step in that regard. During this season Kiekko-Vantaa has turned their focus even closer on making their player development system more professional. The hockey club has also worked to get their coach curriculum unified for all of its teams. We have a solid coach curriculum and now we finally have a digital platform that makes it possible to have an effect in the everyday practice of the players, says club manager AP Muurimäki. 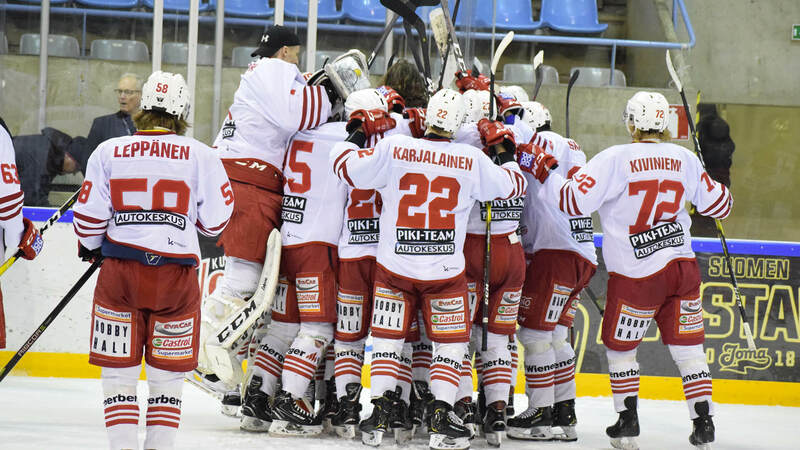 Kiekko-Vantaa is the first Finnish hockey club to start using XPS Network. The head coach of the U18 team, Lasse Kivekäs, has spent a lot of time analyzing game videos and with his new Video Analyser tool included in XPS Network, the process is a lot easier and quicker. I have used XPS every day throughout the winter. The Video Analyzer makes my job whole lot smoother and to be able to send video clips to individual players quickly is a huge advantage for us. A big plus is also that I can comment and drow on the clips, which makes the learning process a lot more effective, explains Kivekäs. All the necessary for effective player development can be found in the XPS Network. At Kiekko-Vantaa the staff will onboard all the clubs coaches and players one step time with the help of Sideline Sports. One of the important features is the possibility to send out questionnaires directly to the players mobile app. Monitoring readiness and fatigue and self-evaluation have become very important tools for me and the players. The data helps the coach to on par with how the team and the individual players are feeling at the moment. One important factor is that the app is so easy to use. The players get the questionnaires where they spend their time these days, on their mobile phones, says a satisfied Kivekäs. The XPS Network player app guarantees that the players get all the information that the coaching staff wants them to have. With the help of the app one can monitor the state of the players’ readiness daily and also share information as well as gather it from the players directly into the XPS Network platform. In the long run, it’s important for Vantaa, situated just north of the capital Helsinki, to create its own coaching curriculum. In addition to Kiekko-Vantaa, junior teams included in the five-year deal with XPS Network are the cooperating youth hockey clubs Kiekko-Vantaa itä and EVU, out of west Vantaa. With XPS Network we can finally create how to play hockey here in Vantaa in practice. Now we are able to organize, plan, communicate and analyze our processes and make sure that we are working in a uniform way throughout our system, concludes Muurimäki. Welcome home, Kiekko-Vantaa and wish you the best luck with our software!